I’m posting this today more for my own benefit than yours. It is without a doubt the best blueberry muffin recipe I’ve ever used but it’s in a scruffy old magazine and I keep losing it. I need to jot it down for posterity so you might as well have a share too, you lucky things, you. The muffins last up to 4 days in the fridge but need bringing back to room temperature if they’re going to be enjoyed at their best. They freeze for up to 6 weeks too but I’m betting they won’t make it as far as the freezer. Gently whisk the wet ingredients together and add to the bowl. Scatter the blueberries over and gently combine until only just mixed. Over-stirring will result in tough muffins. Fill the muffin cases really generously and bake at 180C for 25 minutes until well risen and golden. Leave to cool in the tin for 5 minutes then transfer to a wire rack to cool completely. You’re welcome. 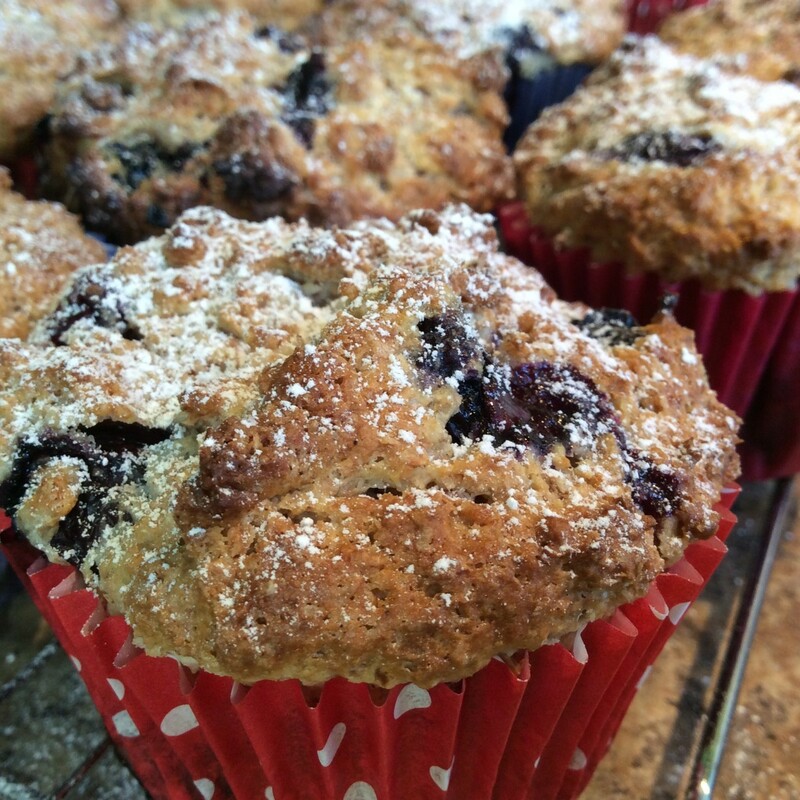 And they’re mine too….the blueberries make them feel like healthy cake -if there is such a thing!